Finish tasks, watch programming, play casual games, and keep in touch with friends - all easy with up to 3rd generation Intel Core or new AMD processing, and graphics ranging from Intel HD integrated to NVIDIA GeForce or AMD Radeon discrete cards. Press the blue LED power button1 and command your world. 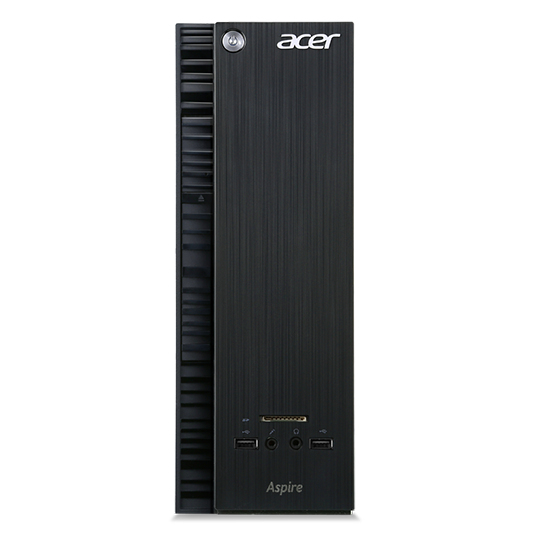 Wonderfully compact and wonderfully entertaining, the Aspire X Series is your high-definition multimedia centre. Select models combine discrete graphics with HD audio for stunningly accurate colour and sound. Plus, you can easily take the multimedia experience to your big screen, thanks to the HDMI port integrated on every Aspire X Series desktop. Add up to 16 GB of DDR3 memory for fast response with entertainment, gaming and design activities. Transfer media easily from your digital devices using the front card reader or swift USB 3.0 ports.1 Plus, you have anytime, anywhere access to documents and media on all your devices with AcerCloud.